For the utmost in stylish leg protection, choose the German Full Leg Armour. 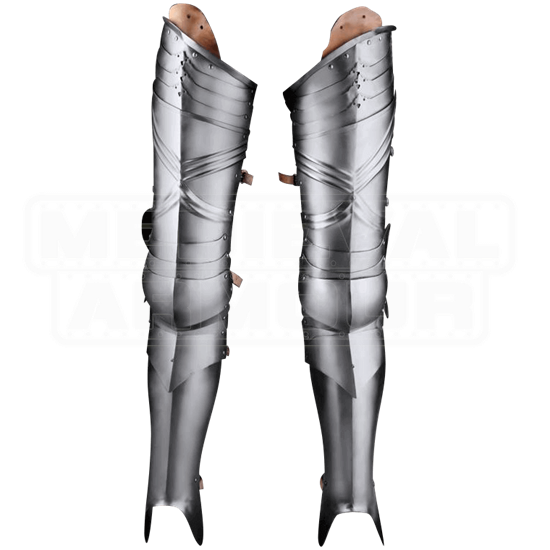 Featuring elegant details and a layered design, this 18 gauge steel armour set protects the thighs, knees, and shins of each leg with two connecting pieces. The upper portion includes the guisse and poleyn, protecting the leg down to the knee. 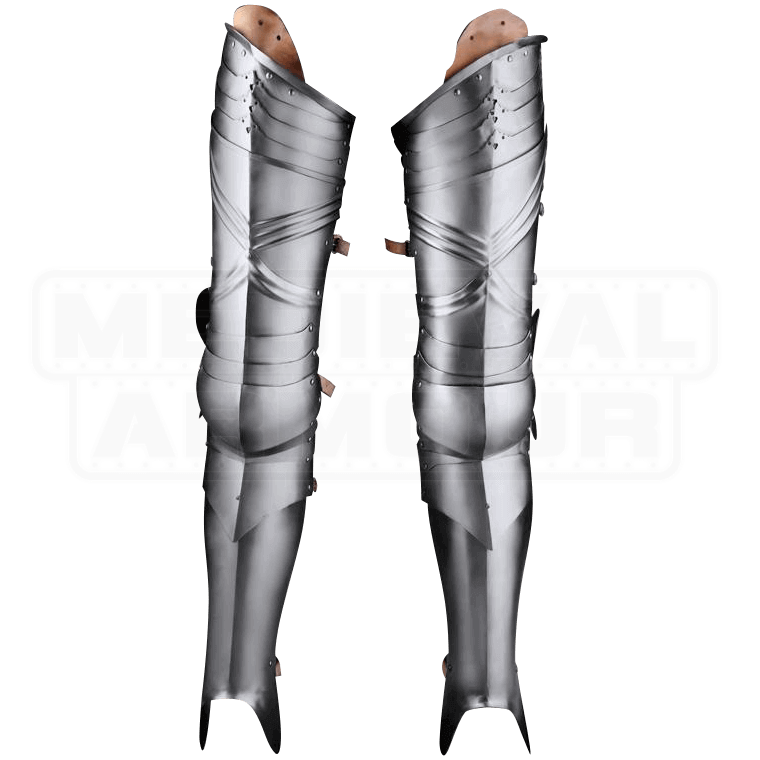 The greave portion, protecting the shins, is connected below the knee, and can be adjusted with a pin that can be placed in two different holes for a proper fit. Elegant layering adorns the top of the guisse, further decorated with the appearance of crossing folds in the metal, and the poleyn protects the side of the knee with a wide plate featuring circular designs. This stunning two piece leg armour system is attached to the wearer with adjustable buckled leather straps at the back of the legs and includes armour for both legs.